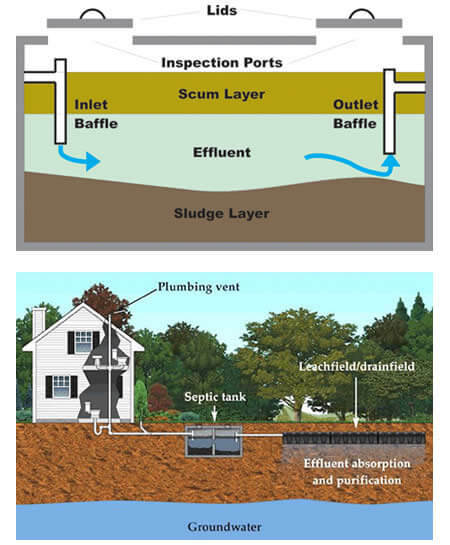 Associates Soil Testing Inc believes you should have your Delafield septic tank pumped regularly in order to keep it working properly and lasting for many years. For some this may mean more often (larger families) and for some this may mean less often (small families, Elderly). See Chart. In any event we recommend you have your system inspected annually. Septic tank pumping is very important to keeping your Delafield septic system functioning efficiently and cost effective. Solids and sludge can build up in your septic tank, so having your septic tank cleaned regularly is important. 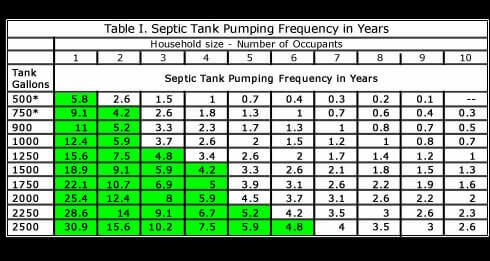 Our chart will give you an idea of how frequent you should have your septic tank pumped. 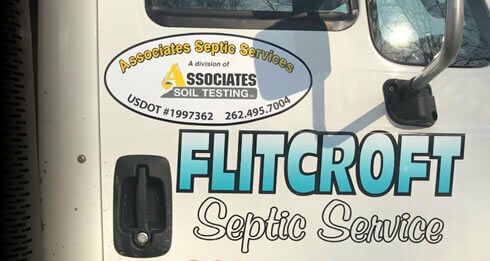 Associates Soil Testing Inc has many years of experience in septic tank pumping throughout Delafield and Wisconsin, so just give us a call at (262) 495-7004 to schedule an inspection of your septic tank.